It’s a general question asked during the interview process by many donor egg companies. General, yet one of the most complex questions a woman could be asked. Loaded with possibility and lacking any truly correct, or incorrect, answers, many women may find themselves wondering – why should someone use my donated eggs? The egg donor screening process is used to help donors and their medical team determine whether a woman’s eggs are right for donation. Not only does it provide concrete medical information needed by the medical staff at your collection facility, but it also opens the floor to discuss the more philosophical “Why’s” of the experience. There’s no right or wrong reason to become an egg donor. Some women may need a way to pay next semester’s tuition, others might want to go on a backpacking trip through Europe before they join the work force and become full-fledged adults; some women may have a friend or a family member experiencing infertility and feel moved to help other women. There a wide array of reasons a woman may choose to donate, but all of them are valid. But at the end of the day, the procedure is bigger than the “Why’s.” Donating your eggs to a couple struggling to get pregnant is one of the most beautiful gifts that can be given. Whatever your reason for donating, know that this noble choice truly makes a difference. If you personally feel your motives are important, that is the only opinion that should matter. Once you’ve made your final decision, the screening process will start… but what exactly does that entail? What Does the Egg Donor Screening Process Explain? The egg donor screening process benefits more than just the egg recipient. The screening process is for your own benefit, as well. From a health perspective, the doctors and medical staff overseeing your procedure require certain information to determine whether your eggs are viable for donation. This includes their overall health and an understanding of any genetic conditions carried by you or someone in your immediate family. This can be helpful to know when you are planning your own family. These screening tests also offer insight into whether donating is a medically safe option for you. This process can sometimes prove too much for certain women’s bodies. The wide variety of diagnostic tests given provides a full scope of your general health and help determine whether this is a good choice for you. During these initial screenings, you are provided with detailed information on what donating entails. Making the choice to give up some of your eggs is not an easy undertaking. Aside from the physical toll, it is sometimes a difficult time commitment. From initial screening until the day your eggs are retrieved, you are required to make numerous, sometimes daily, trips to the doctor. Being accepted as an egg donor consists of more than just a little blood work - although there’s plenty of that, too! Each of these tests gives comprehensive information that is used to determine if you are a good egg donor candidate. Your responses to questions will also be included in a final profile given to potential parents. Women should be between the ages of 21 and 33. You will not be accepted if you are currently smoking or using drugs. Carriers of sexually transmitted diseases, including HIV, hepatitis, and chlamydia are not approved. Your general emotional and physical health must be good overall. You should have approximately three months of availability to complete the process. You must be prepared to self-administer injectable medications. 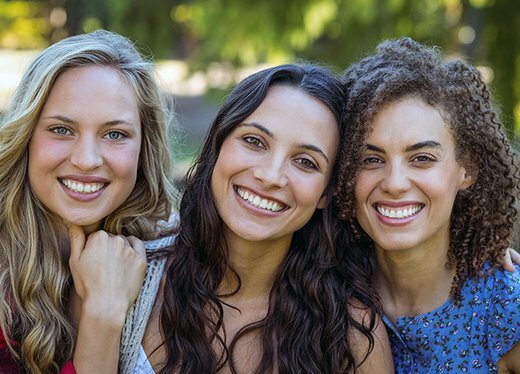 Each of these conditions is vital to your success as an egg donor, along with being beneficial to recipients during their own decision-making. One of the most important steps throughout the entire egg donation process is signing valid contracts. These contracts are crucial to protecting the legal rights of all parties involved. Not only do they ensure that you are not held responsible for any child that is born from your eggs, they also protect parents from the egg donor claiming any rights to their child. Discussing and understanding your legal rights is an essential part of the screening process. What Does It Mean if You’re Rejected? There are so many reasons that this process might not be right for certain women, but that does not mean they should not, or will not, one day become mothers themselves. Whether you are approved for donation or not, know that the mere choice to try is one of an altruistic nature. Is Egg Donation Right for You? Whether the decision to donate is made for financial reasons or simply out of the kindness of your heart, it’s important that you feel confidence in your decision. While feeling hesitation, nervousness, or even sadness during, and following, a donation cycle is normal, understanding the long-term effects of this choice is imperative. If you find yourself looking for a push to help make the choice, however, just remember what you’ll be giving someone by taking this step. 1 in 8 couples struggle with infertility throughout their lifetime. Many put themselves through round after round of IUI’s and IVF only to learn that donor eggs are their only option. Your decision to donate offers them the second chance they’ve been looking for. It’s granting a wish, filling a heart, and helping people create the family of their dreams. No one can say choosing to donate your eggs is easy, but it can be one of the most significant moments of your life.